You'll notice a trend lately on The Brew Enthusiast. We've been visiting and featuring breweries in areas of the country that aren't known as craft beer hotspots, including Mississippi and Kansas. Our mission is to highlight every brewery's story, and open your eyes to the craft culture that pervades every nook and cranny of this great country. It's a huge journey, and we couldn't be more excited to show you what's happening out there. We say this because we're about to blow your mind with a great craft brewery in Naples...which is located in Florida. Hot and steamy Florida, for those of you who don't know, has over 130 operating craft breweries and brewpubs. That's a lot. And we bet you can't name five of them. Crack a cold one and keep reading. Stop us if you've heard this one before. What do you call a guy with a degree in turf management from Michigan State (Gooooo green) who opens a brewery in Naples, Florida? Crazy. That's what you call him. And Will Lawson, founder and owner of Naples Beach Brewery, probably won't disagree with you. A native Michigander, Will has single-handedly taken up the torch for great beer in southwest Florida, starting a brewery in an area that, until recently, was a certified craft beer desert . Armed with midwestern common sense and a famously good attitude, he's worked his tail off over the past 3 years to buck the trend of bad beer in his community...and it's working. We love great beer here at The Brew Enthusiast. You know that. We love it's flavors, aromas, colors, and variety. It's delicious and it's an obsession. But even more than the beer itself is the addictive culture behind the product. This is that je ne sais quoi that huge domestic producers just don't (or can't) understand. Craft beer is more than a quality product. It's a story, attitude, and mindfulness that requires copious application of sweat equity, great beer, and community involvement. This cannot be replicated, marketed, or sold to you in a 12 oz container. Naples Beach Brewing Company is distinctly aware of this, and they embody the great story we all crave in our local brewery, with great liquid to back it up. As we mentioned above, Will Lawson is from a small town outside of Ann Arbor, Michigan, which means he knows great beer. Michigan's craft beer is a nationally notorious beast, with some of the country's most iconic breweries finding their roots there. Will moved to Florida, home of more golf courses than any other state, to leverage his degree in turf management at a country club in Naples. Quick to realize that he was more interested in great beer than a nicely trimmed fairway, he moved back to the midwest to enroll in the Siebel Institute's beer program in 2007. Seibel, for those of you who might not know, is one of the world's leading brewing-teaching institutions, located in Chicago. After a brief stint in Germany (to finish up the Siebel program), Will came back with a head full of beer knowledge and almost no experience actually brewing beer in a production environment. Like any good story, it came down to getting a job at a brewery and working your way up from there. He took at a job at Grizzly Peak Brewing in Ann Arbor, MI and worked there for almost 3 years; mopping floors, cleaning tanks, and learning the brewing process inside and out. If that's not a great way to get your beer chops, we don't know what is. He ended up starting the brewery in Naples because he and his wife missed the weather and saw the opportunity in that part of Florida for a local craft brewery to plant some sustainable roots. 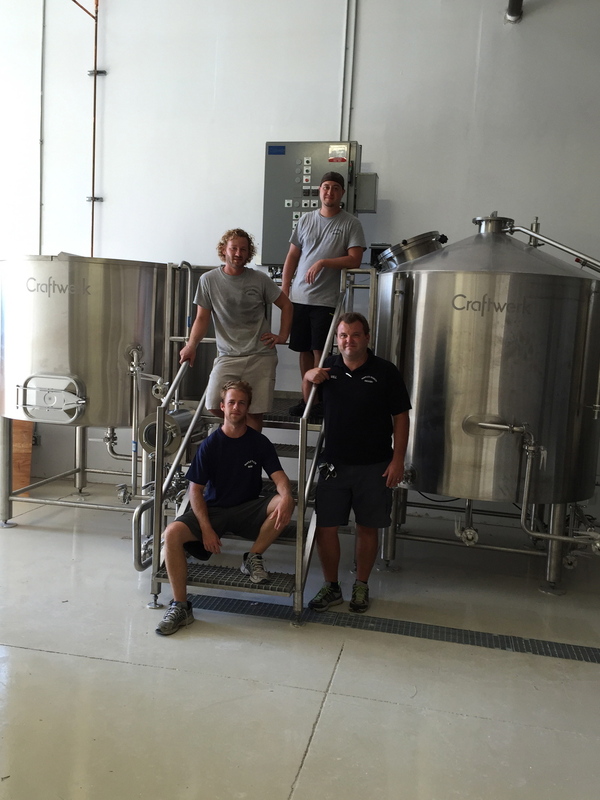 They got a business plan together and opened the doors to the brewery in 2012. The first person through the wall always loses a few teeth, and Naples Beach Brewing certainly had to fight for mindshare when they got going. Such was the saturation of domestic beer a few years ago in Florida, the community wasn't willing to change the zoning laws to allow him a tasting room because they just didn't know what this new guy was trying to do with his flavorful beer. The tides have since changed, but it hasn't been easy for anyone working at the brewery to get folks up to speed on what great beer is all about. Like many of our great brewery stories, it's all boiled down to a small, dedicated group of hardworking people. The team at Naples Beach have built a solidly growing business on locals and out-of-staters alike, now up to 75 accounts served in their community alone. Florida is getting thirstier in the best way possible, and often times he sees the same people coming back year after year, fleeing from northern winters for a little southern sun and a cold pint of Naples Beach Hefeweizen. Speaking with Will, we saw the passion required to build a great brewery. His formidable knowledge of global beer history and its cultural significance was inspiring to say that least. Fun fact alert - Over three years in and he still hasn't taken a paycheck from his brewery's operations, such is his investment in the business and the community around him. The brewery itself is currently undergoing a significant expansion, you'll see acquiring some new warehouse space for their new 15-barrel system. Their current portfolio of beers is reminiscent of a many a small brewer's offerings, with a solid core of drinkable, quality beers that have been custom built for the Floridian sun. They're not trying to blast your head off, but they'll certainly still made to impress. We're not going to get too far into the tasting notes because we think the beers speak for themselves. Go give them a try and let us know what you think. We would suggest stopping in if you're in the neighborhood, or at least grabbing a pint at local watering hole. 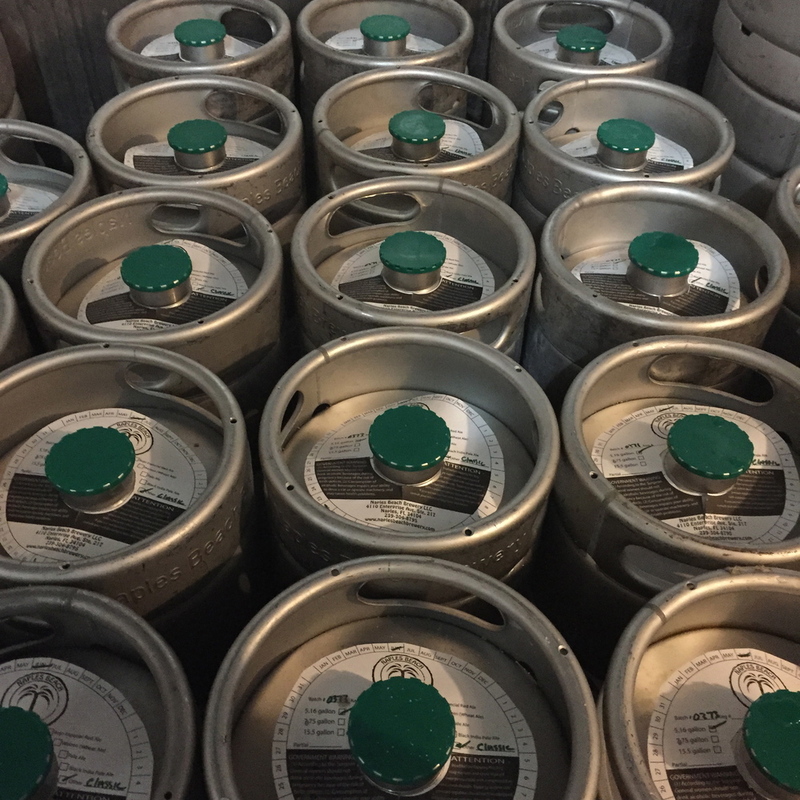 Naples Beach Brewing has gone from a humble 1.5 barrel, one-man nano operation holding up the torch of great beer in southwest Florida to the size they are today with a lot of focused effort. The best part is that they'll always take the time to teach you something about good beer, and we can't ask for much more than that.